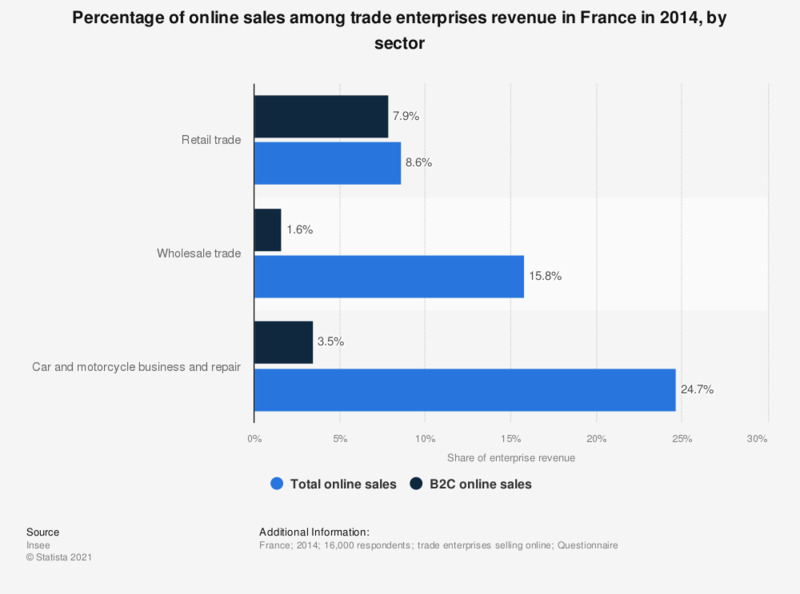 This statistic represents the percentage of online sales among the revenue of trade enterprises selling online in France in 2014, by sector. Internet sales accounted for almost nine percent of retail trade enterprises revenue. Includes enterprises of at least ten people in France (including overseas territories), mostly active in market sectors.